SmallVPN is operated by Mxhub.com which is a technology company providing hosting and security solutions to its customers. 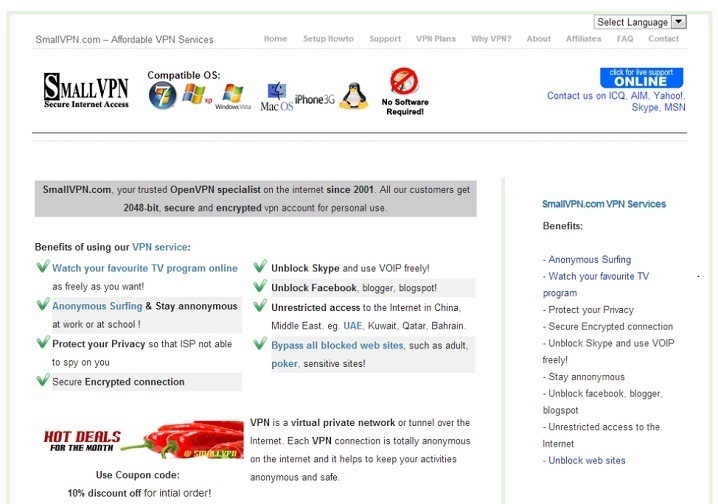 While the company has been operational since 2001, the VPN service itself was launched in 2008. In the detailed SmallVPN Review below, we take a look at the features offered by the service and decide whether it is worth our money. SmallVPN has severs in 14 different countries – United States (5 cities), Canada, Australia, Germany, United Kingdom, Netherlands, Belgium, France, Hong Kong, Ireland, Canada, Czech Republic, Spain, Japan, and Italy. With so many server locations to choose from, it becomes really easy to bypass country and organization specific firewalls and even GEOIP restrictions. 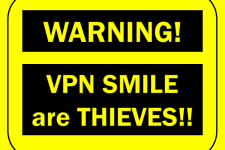 So if you want to unlock Facebook, ABC, Hulu, CBS, NBC, BBC iPlayer, Gmail, Netflix, YouTube, iTV, Zattoo, HBO Go, Amazon Prime, Spotify, NFL, MTV, Pandora, Twitter and Lovefilm from any location (even restrictive countries like China, Qatar, UAE, Brazil, Thailand, Saudi Arabia), SmallVPN would be an ideal choice for you. SmallVPN delivers high speed and unrestricted bandwidth through its high capacity network. The company does not throttle speed in any way so you can download unlimited content, watch HD movies online, play multiplayer online games and make VOIP calls without having to worry about speed and bandwidth limits. 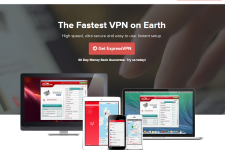 SmallVPN offers up to 2048 bit encryption through its VPN network. Customers using PPTP protocol would naturally get a lower encryption (128 bit) as the protocol itself does not support high level of encryption. However, the security offered by the company works great for most online activities like browsing, emailing, FTP, VOIP and messaging. The service is even ideal for securing unsecure wireless sessions since low security wireless networks are often used by hackers to steal credit card information, passwords, social accounts and even identity. The company records bare minimum details (bandwidth use and login time) for maintaining their network but they do not hand over this information to third parties or advertisers. SmallVPN is compatible with Windows (7/Vista/XP), Android (for Smartphones and tablets), iOS (iPad and iPhone), Mac OSX and Linux. For most operating systems, the service uses the built-in client so there is no need to download or install any software. The setup is quick and hassle free and even tech challenged people should be able to configure the service within no time. In case you face setup issues, you can also refer to detailed installation guides available on the company’s website. The company offers support through live chat, instant messaging (ICQ, Yahoo, Skype, AIM) and email. If you face consistent technical issues or are not able to use the service for some reason, the company would also offer remote support through Teamviewer. SmallVPN offers country specific VPN plans starting from $19.95/month ($17.95/month for annual plans). 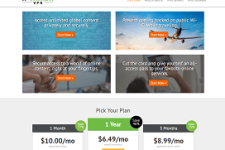 For Corporates and small businesses, the company offers Premium VPN plans staring from $29.95/month. Every SmallVPN plan comes with one or more dedicated IP addresses. The company does not offer refund or a free trial. Since the company takes fraud orders very seriously, it makes sense to contact them regarding the availability of the service in your country. Overall, SmallVPN scores well on most parameters. While the service certainly looks expensive, it does provide unmated security and very high speeds through its network. So if you are looking for a stable and dedicated IP VPN provider, check the VPN plans from SmallVPN.